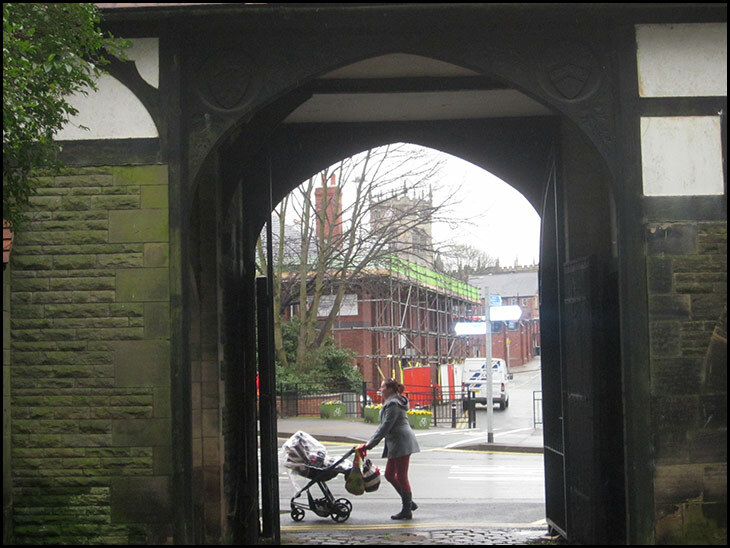 Taken from the old Rectory / Wigan Hall. When I was a little lad the building with scaffolding up replaced my old school Blue coat school, and the Cowen family lived in that lodge on the right. Wigan Parish Church verger. 75 years ago. nephro, Mr. Cowen , was the verger for over 60 years . A true gentleman . Hello John ,good to hear from you ,I hope your keeping well ,it's quite a few years since I last saw you. Very best regards, Tom.